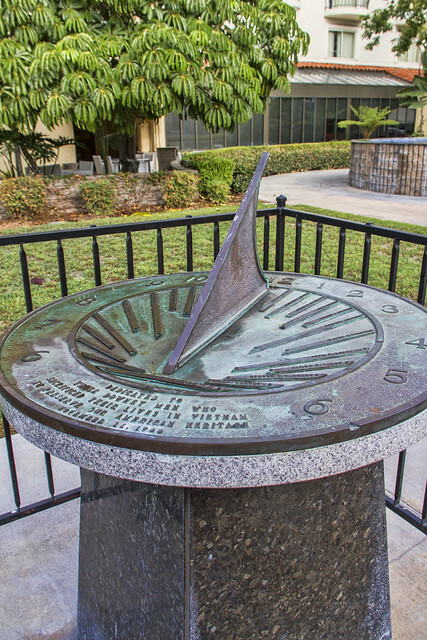 This memorial sun dial sits in front of the Downey Civic Theater, dedicated to the Downey men who sacrificed their lives in Vietnam. If you look on the inside of the circle, there are the men's names. In doing a little research, it appears that the fountain just to the side of the sun dial is also part of the memorial.